Publix is a large grocery store chain in Florida. There was a massive distribution center near my hotel in Plant City, FL. 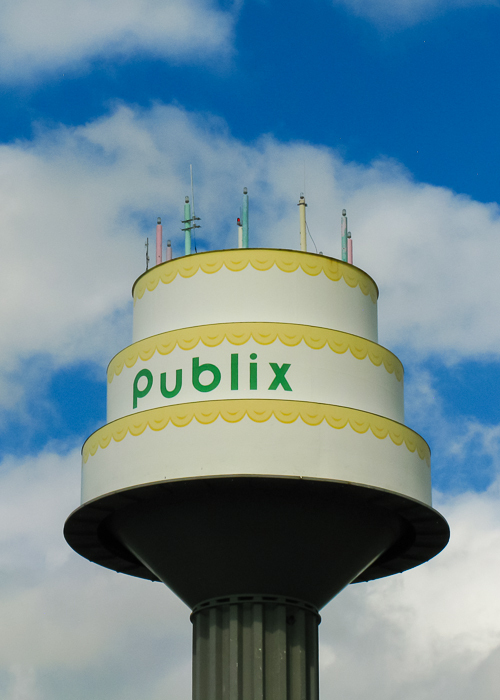 The distribution center had a water tower in the shape of a cake.